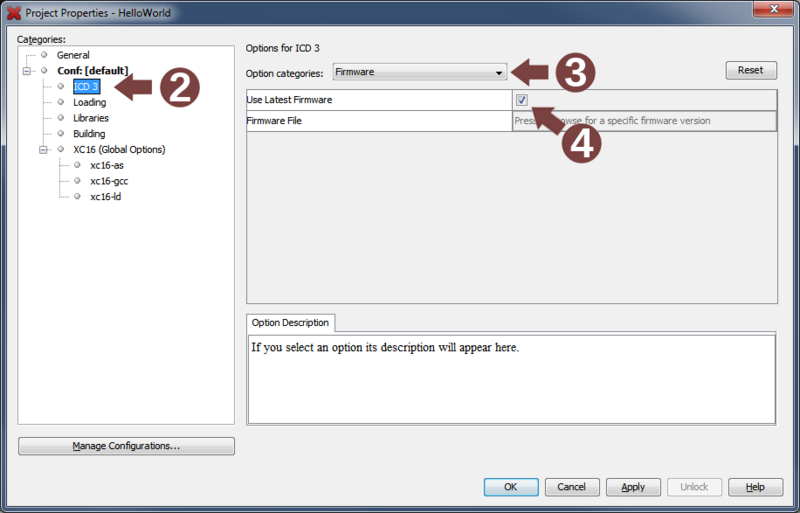 The ICD 3 frimware is NOT your application firmware. This is the code that is loaded into the ICD 3 that modifies its functionality for the project's selected device. Auto or manual selection of memories and ranges to program: If you check this box, you can specify which firmware image MPLAB® X IDE should load in the box below.